Through the blurring of territorial lines between Israel and Palestine, the Israeli Ministry of Tourism has both claimed and profited from Palestinian sites, the PLO Negotiations Affairs Department said in a report released this week. In the report, the PLO criticized Israeli Ministry of Tourism maps that erase Palestinian presence by using "Judea and Samaria," hindering the ability for tourists to know whether or not they are viewing sites within the occupied West Bank and East Jerusalem. Many tourists and religious pilgrims spend time within occupied Palestinian territory however leave under the impression their entire itinerary was based in Israel. The Israeli Ministry of Tourism has in the past printed material designating Bethlehem as an Israeli destination. Brochures targeting Christian pilgrims marketed several Christian sites including the Church of Nativity in Bethlehem as Israeli sites. In response, PLO Negotiations Affairs Department argued that scenarios like this violate UN Security Council and General Assembly resolutions 181, 242, and 338, by both excluding Palestinians from tourism revenue while denying the link of Palestinian Christians ownership to an integral part of their history and identity. "Israel’s occupation has turned a potential source of income and shared opportunity into a story of theft and lost potential," the report stated. Negotiations Affairs Department also took issue with Israeli exploitation of Palestinian resources via the tourism industry. Factories of Ahava Dead Sea Laboratories Ltd. -- the largest Israeli exporter of Dead Sea products -- are located in the illegal Mitzpe Shalem settlement on the Palestinian shores of the Dead Sea. backing of Israel’s government," the report alleged. Trails and walking tours were additionally criticized as an Israeli method of using tourism to create "facts on the ground." Trails marked by Israeli authorities often skirt Palestinian areas, especially the "Jerusalem Trail" which is diverted around Palestinian neighborhoods when possible so as to prevent any encounters with Palestinians. "The path is intended to create the sense that Jerusalem is an Israeli-Jewish city with sovereign and legal contiguity while, in reality, almost half the track is in occupied East Jerusalem." The report highlighted the PLO's continuing efforts to work with international bodies in order to counter Israeli exploitation on Palestinian land and resources. The European Union and the Netherlands Thursday announced a contribution of about $34.2 million (€31.6 million) to the Palestinian Authority’s payment of its civil servants’ March salaries and pensions. 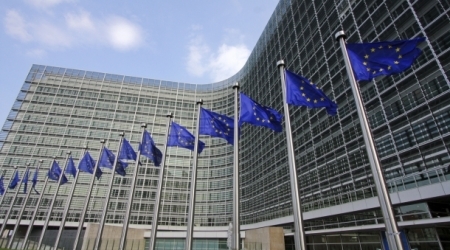 In a joint press release, the EU revealed that it is making a contribution of approximately $34.2 million (€31.6 million) to the payment of March salaries and pensions of around 68,000 Palestinian civil servants and pensioners in the West Bank and the Gaza Strip. According to WAFA Palestinian News & Info Agency, this contribution is channelled through the Mécanisme Palestino-Européen de Gestion de l'Aide Socio-Economique (PEGASE) mechanism, which is the financial mechanism launched in 2008 to support the PA Reform and Development Plan (2008-2010) and subsequent Palestinian national plans. It is being funded by the European Union which contributed around $33.4 million (€30.9 million) and the Government of the Netherlands with a contribution of $756, 490 (c.€0.7 million) earmarked specifically for PA’s salaries in the justice sector. 'This is part of the first tranche of our 2015 direct financial support to the Palestinian Authority that we announced earlier this year and which amounts to €130 million in total,” said EU Representative John Gatt-Rutter. He called for a “regular” and “systematic” transfer of Palestinian tax revenues. Since February 2008, around $1.9 billion (€1.8 billion) have been disbursed through the PEGASE Direct Financial Support programmes. In addition, the EU has provided assistance to the Palestinian people through UNRWA and a wide range of cooperation projects. The Japanese government has announced a new grant to the World Food Program worth US $5 million (606.3 million yen), in support of the poorest Palestinian families who suffer from food insecurity in the Gaza Strip. The grant will provide basic food supply for about 162,000 of the poorest families who suffer from food insecurity in the Gaza Strip for three months, according to Al Ray Palestinian Media Agency. The representative of the World Food Program in Palestine, Daniela Owen, thanked the Japanese government for providing this urgent aid to families in the Gaza Strip who are in very bad need of help. According to the Palestinian Central Bureau of Statistics (PCBS), the relative poverty line and the deep poverty line according to consumption patterns (for reference household consisted of 2 adults and 3 children), in Palestine during 2011, were 2,293 NIS and 1,832 NIS respectively. The poverty rate among Palestinian individuals was 25.8%, 17.8% in the West Bank, and 38.8% in Gaza Strip. Data revealed that 12.9% of the individuals in Palestine were suffering from deep poverty in 2011 according to consumption patterns, 7.8% in the West Bank, and 21.1% in Gaza Strip. UN statistics show that Palestinians are now the largest refugee population in the world. 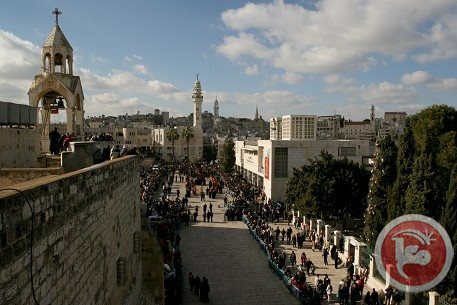 WAFA additionally reports that, on Thursday, Japan has announced committing around $30 million to budget support through the World Bank for the Palestinian Recovery and Development Plan Multi-Donor Trust Fund (PRDP-MDTF) to support the Palestinian Authority “devastated” financial situation. The contribution is part of the recent additional support from the Japanese government to the Palestinian people, which was announced by the Japanese Prime Minister Shinzo Abe during his visit to Palestine in January 2015, which amounts to $100 million. This is the third contribution following 2014’s $30 million to the PRDP Trust fund, which is a part of international support to alleviate PA’s financial difficulties, said the Representative’s office. The World Bank PRDP Trust Fund was established on April 10, 2008, through an agreement signed between the World Bank and the Palestinian Authority. The Fund is central in supporting the Palestinian reform and development plan and it supports strengthening the PA’s capacity to sustain a number of significant reforms introduced to date and to bolster further progress. 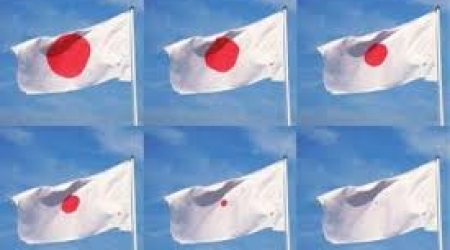 Japan has been supporting financially and technically the economic development efforts exerted by key ministries, to help prepare the PA for statehood in line with the PA's national development plans. It has also provided assistance through UNRWA and other United Nations agencies including humanitarian assistance, as well as to local NGOs and local councils for their grassroots development projects. Qatar Charity on Wednesday said it would establish several projects in the besieged Gaza Strip worth 70 million dollars. 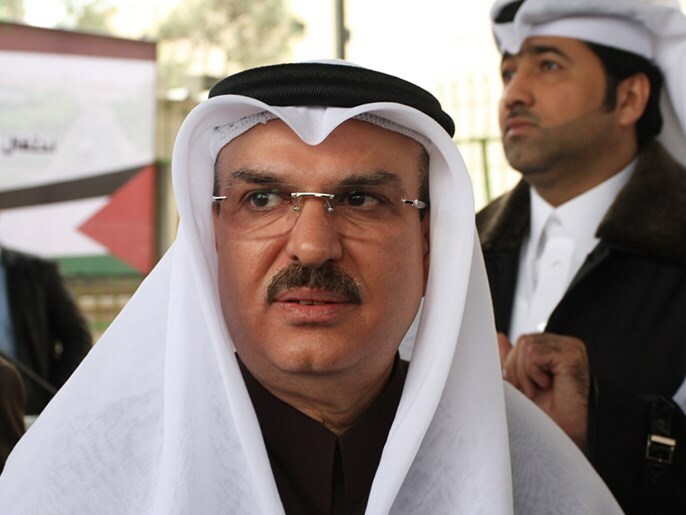 Senior official of the Palestinian Olympic Committee Abdul-Salam Haneyya said he discussed with CEO of the Charity Sheikh Yousuf al-Kuwari the possibility of establishing a number of health, sporting, and housing projects in Gaza. Haneyya added that Kuwari pledged to fund the projects and consider sponsoring university students, who suffer from financial hardships as a result of the very difficult humanitarian and economic situation in Gaza. The Palestinian Environment Quality Authority on Wednesday warned of Israel’s confiscation and destruction of Palestinians’ natural resources in Deir Ammar village, in the West Bank province of Ramallah. 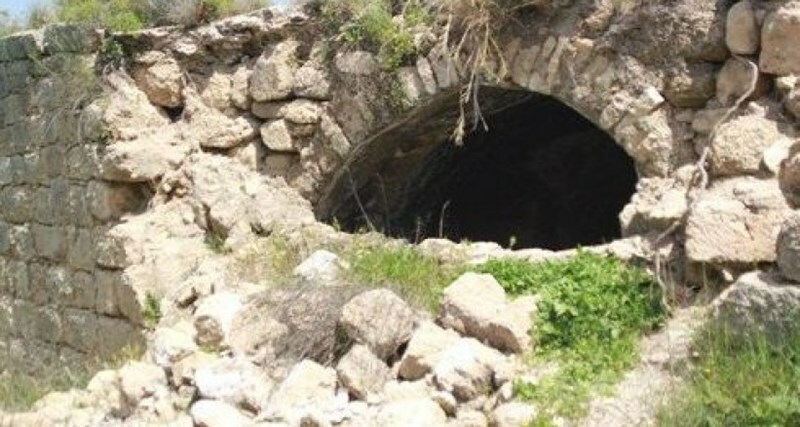 The Environment Authority said in a press statement that the Palestinian natural resources in Deir Ammar and al-Nabi Aneir areas have been permanent targets of the Israeli occupation, pointing to the ongoing confiscations, misappropriation of water springs, and uprooting of olive trees as illustrative cases in point. Dozens of dunums of Palestinian land tracts in the area have been seized by the Israeli occupation in favor of illegal settlement expansion, the Environment Authority further reported. The targeted villages are rich with water pools that have long appealed to Israeli settlers allegedly due to their religious significance. Meanwhile, a flock of Israeli bulldozers owned by extremist settlers crept into an old archaeological site craved into the rock west of Kafr al-Dik town, in Salfit. Eye-witnesses said the bulldozers have been smashing the carved rocks and razing the land located near Deir Sam’an hamlet, resulting in a remarkable alteration of the very idiosyncrasy of the nearby archaeological sites, reportedly transformed into settler apartments and access roads. Researcher Khaled Ma’ali stressed the historically profuse nature of Deir Sam’an’s cultural heritage, warning of Israeli intents to hold sway over the village and wipe out its Palestinian character in favor of illegal settlement construction. Palestinian economist Maher al-Tabba said that the Gaza Strip needs more than 10,000 tons of cement per day to swiftly reconstruct it. Tabba, a senior official of the commerce chamber in Gaza, stated in press remarks to the Palestinian Information Center (PIC) that about 7,000 tons of building materials were allowed into the Strip over the past seven months. He asserted that such quantities were not enough to cover the construction needs in Gaza for one day. He held the Israeli occupation authority fully responsible for obstructing the reconstruction efforts in Gaza through its persistence in its blockade on Gaza. 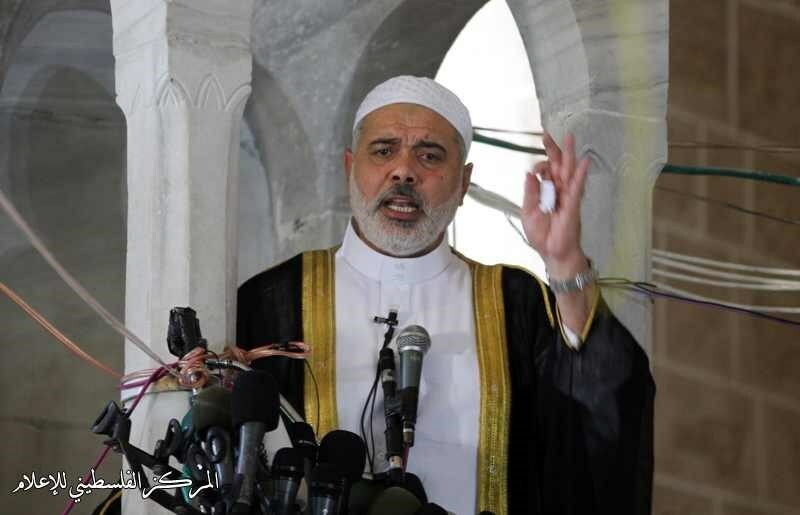 During Friday sermon, deputy head of Hamas political bureau Ismail Haneyya revealed that Israeli had agreed to extend a direct natural gas pipeline to operate Gaza's sole power plant. There are too proposals in this matter: the first is to extend the line directly from the gas-production company off the shores of the Gaza Strip, he said, adding, "The second is to extend the line from Israel to the center of the Gaza Strip passing through Egypt". 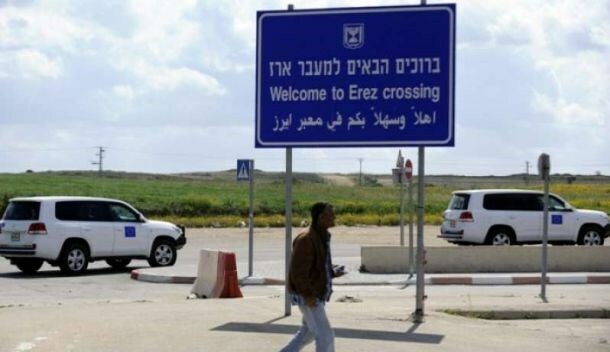 "The cost of extending the line from Israel to the center of the Gaza Strip is close to $25 million; Qatar has agreed to fund the project," Haneyya said. 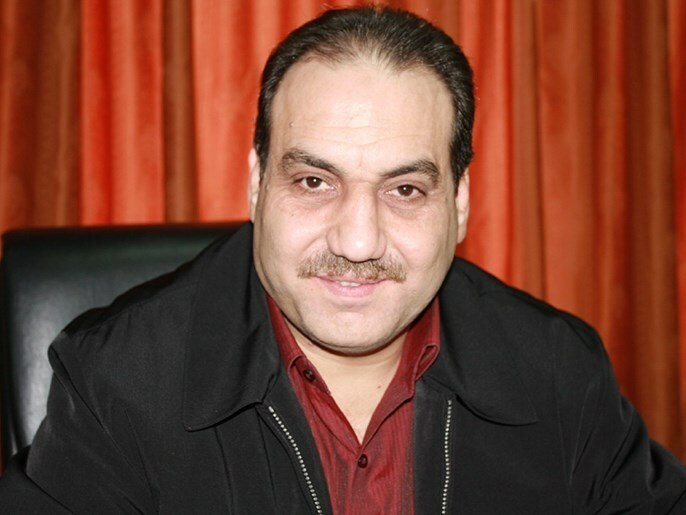 Concerning Gaza employees’ crisis, Haneyya pointed out that a committee headed by Deputy Prime Minister Ziad Abu Amr has been formed to deal with the crisis within a specific time-frame. He also accused some parties of obstructing Gaza reconstruction process, noting that the next few months will witness a notable improvement in this mater. 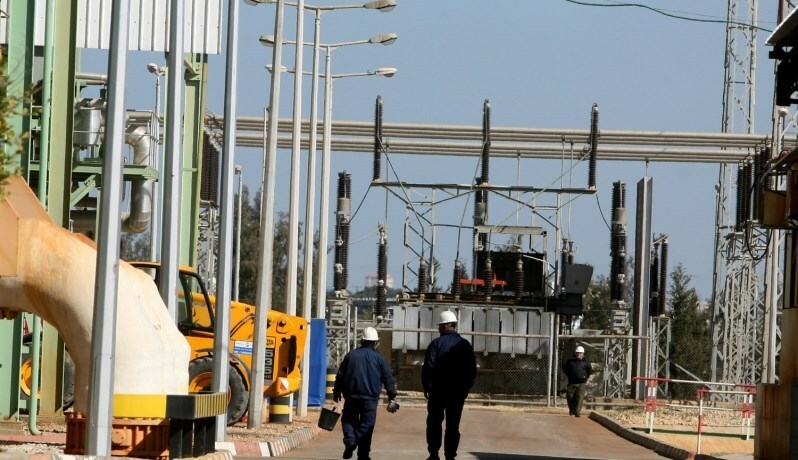 Municipalities in Gaza Strip said the increasing siege, power station closure and the increasing hours of power cut offs on irregular basis have negatively affected the work of municipalities in the blockaded enclave. Gaza mayor Nizar Hijazi said, in a press conference he held with mayors of other municipalities in the besieged Gaza Strip on Tuesday, that the power cut offs resulted in the inability of running sewage plants and water wells efficiently. This has led to a large imbalance in the regularity of facilities and to the stop of a large part of it, he added. The mayor said the municipalities are not capable of making up for the continuous power cutoffs by running generators as generators’ fuel needs huge budgets which could not be provided because of the current bad economic conditions. The mayors in Gaza asked Palestinian president Mahmoud Abbas to urgently intervene to put an end to this problem by issuing orders to Prime Minister Rami al-Hamdallah to shoulder his responsibility in Gaza. They called on the Palestinian Authority and its unity government to remove the taxes imposed on the fuel of Electricity Distribution Company in Gaza in order to be able to work by the minimum extent. The mayors as well asked for a budget allocated for municipalities in the Israeli-besieged enclave. For its part, the municipality of Deir al-Balah warned of full stop of services if the power crisis continued. Dozens of civil workers and figures of Deir al-Balah got gathered before the municipality’s courtyard waving slogans such as “It is my right to have electricity” and “Why is Gaza deprived of electricity?” The protestors asked Abbas and al-Hamdallah to solve the crisis. 60 thousand liters are needed monthly for running the wells and generators in Deir al-Balah, the mayor said. Engineer Ahmad Tayeh warned of the shortage of water flow to Gaza outskirts and border areas due to power cut offs, noting that those areas were destroyed during last summer’s Israeli war on the besieged enclave. A senior source exclusively told the PIC reporter that the Swiss delegation assigned to discuss the Swiss paper on Gazan employees arrived in Gaza Strip on Monday. The Swiss delegation’s visit aims at discussing Hamas’s proposals and remarks regarding the Swiss Road Map solving the former government-appointed civil servants, the source said. The source pointed out that the delegation is holding separate talks with Hamas and other Palestinian factions as well as UN institutions in Gaza to discuss the employees file to follow up on previous efforts made by the delegation. The Hamas leader Basim Naim had earlier told the PIC that Hamas accepts the Swiss initiative as a basis to solve the employees’ issue by integrating them in the ministries and official institutions. The Swiss initiative offers a solution for Gaza employees’ crisis by integrating the employees, who were appointed after 2007 by the former government in the Gaza Strip, in the government service in order to include their salaries in the budget of the Palestinian Authority. Naim noted that this is one of the three objectives of the Palestinian unity government in addition to ending the siege on Gaza and reconstruction. “Hamas expects to hear the delegation’s final position in regards to its proposals. Hamas is looking positively to the Swiss paper, hoping that it would offer a solution to the crisis, but Hamas’s proposals must be taken into consideration”, he said. Tilling the land in Gaza is one of the most dangerous jobs in the world. The Zionist Occupation Forces fire on the peasants and their families while they sow or harvest their own land near the infamous Zionist fence which surrounds Gaza. They also burn their fields and routinely ravage their crops with bulldozers, leaving hundreds of families ruined and preventing the Gaza Strip from developing it’s already devastated economy or achieving a minimum of food sovereignty. Last Sunday, a group of peasants from Khuza’a, a village located in the South of the Gaza Strip, called us to ask for our presence as deterrent witnesses during their journey to sow their fields. The days before they had been harassed by Israeli soldiers, who fired their rifles and shot tear gas grenades from where they crouched inside their tanks and military turrets towards the peasants who were just trying to work their land under a hail of Zionist bullets. We finish our task and have a coffee sitting on the ground whose furrows house the seeds sown at the risk of Palestinian farmers’ lives: seeds of wheat, watermelon, peanut, seeds that may not even have the chance to germinate. Sitting now quietly on the scorched land, on the occupied land, land irrigated with Palestinian blood – too much blood – Azzam fixes his eyes beyond that disgraceful fence. He looks beyond the military vehicles, beyond the armed towers, armed with guns that can fire at the a push of a button from Tel Aviv; there we can see the stolen green fields of Palestine, a land deprived of it’s real name and owner, that place that is now known by the infamous name of Israel. The Israeli Occupation Forces (IOF) fired at dawn Wednesday a flare bomb at a poultry farm belonging to a local family living near the separation wall in Tulkarem starting a huge fire in it. The Palestinian-owned poultry farm was completely burned down during the attack, family sources said. Speaking to the PIC reporter, the poultry farm’s owner Yousef Abu al-Ezz said that the Israeli forces deliberately fired the flare bomb near the farm. 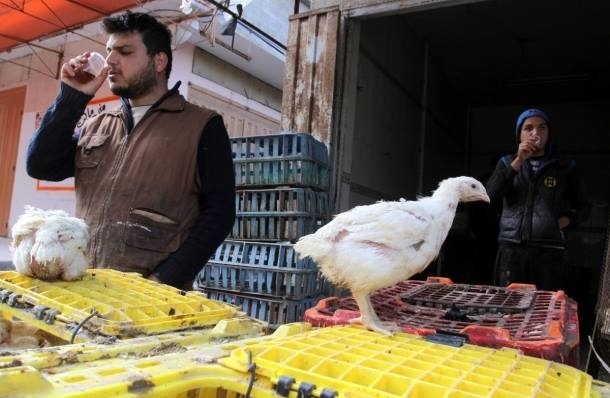 More than 1,500 birds were burned to death during the attack, in addition to the financial and material loss, Abu al-Ezz added. The farm is the only source of earnings for 11 members of Abu al-Ezz family. Eyewitnesses affirmed that the farm was deliberately burned as it is located near the apartheid wall that separates Zeta town from the 48 occupied territories. The attack fell as part of Israeli daily unjustified assaults against the people of the town, the sources added. A number of agricultural properties were either confiscated or destroyed in the town at the hands of the Israeli forces in an attempt to prevent local farmers from reaching their agricultural lands located near the separation wall. Qatari ambassador and head of the Gaza reconstruction committee, Mohamed Ismail al-Emadi, vowed on Tuesday evening to do his best to work out the power crisis in the blockaded Gaza Strip. He said the only solution to the matter is to connect a new 100 Megawatt power line from Israel and provide the Strip’s power plant with a gas pipeline. But such initiatives require the consent of the PA and the Israeli authorities, he added. 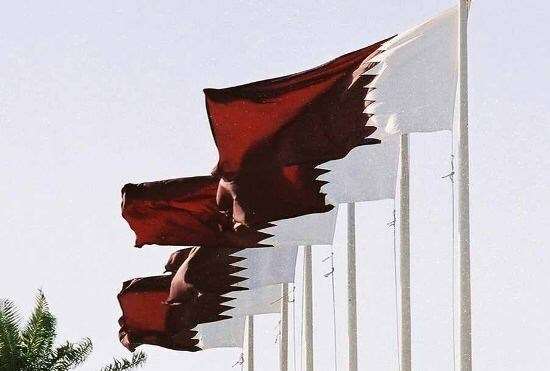 Over the past three years, Qatar has dispatched a 100-million-dollar batch to assuage the power crisis, but the situation has remarkably gone from bad to worse, the official further stated. He announced Israeli pledges to allow 1,000 tons of cement access into Gaza starting on Wednesday, saying the pace of the rebuilding process is very likely to speed up if Israel does not break its promises. Emadi is expected to head to Ramallah on Wednesday morning, after his stopover in Gaza, to meet the Palestinian Authority premier Rami Hamdallah.